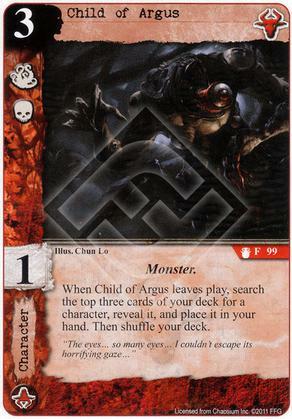 When Child of Argus leaves play, search the top three cards of your deck for a character, reveal it, and place it in your hand. Then shuffle your deck. Flavor Text: "The eyes... so many eyes... I couldn't escape its horrifying gaze..."